Every ancient Greek mythology connoisseur knows about nine daughters of Zeus and Mnemosyne, which are known as muses, patronesses of science and arts; starting with Erato, love poetry protector and ending with Urania, which was the patroness of astronomy. Well, in the Muse: Wild Inspiration, which was developed and released by a well-known NetEnt software development company there are only three of them. But they have the power to help the player towards accomplishing some serious payouts! As said above, the creators of this entertaining pokie is the NetEnt company. There is no need to talk about them much because of their long history in developing top-notch games, such as this particular one. The value of a single coin ranges from 0.01 up to 0.5. One can choose between 10 different bet levels, which essentially represent the number of coins per an active payline. Those bet levels determine the value of player’s wager, which can take values from 25 up to 250 (maximum bet). The value of one coin also affects the amount of one’s wager, but only in case when he’s playing for real money. The value of the wager is then displayed in € just below the “spin” button. The maximum payoff (jackpot) is x500. The theoretical RTP percentage is 97%. There is an additional bonus feature (but not in a form of an additional round), as well as free spins feature and multipliers. The autoplay option is embedded too, when one gets tired of clicking the “spin” button repeatedly. 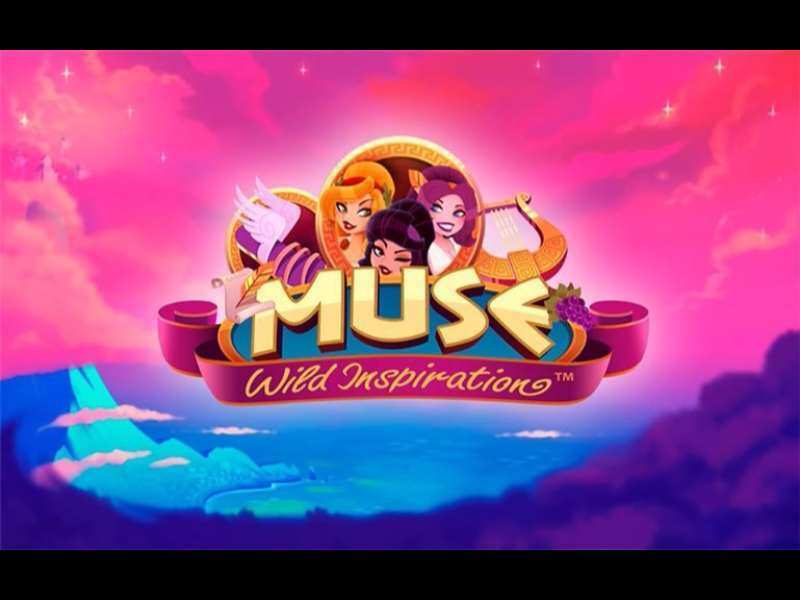 One can also play free Muse: Wild Inspiration casino slot machine without having to download the game or to register. Unfortunately, the mobile version of this lovable pokie hasn’t been released yet, so the players would have to enjoy it via desktop/laptop. Wild and not just one, there are three of them, representing muses with different abilities. Regular tokens can further be separated in two groups, lower paying ones (displayed as card numbers and marks) and higher paying ones (illustrated as some of the motifs from the ancient Greek mythology.) among them one should be searching for the harp because it is the one that is worth the most. For five of them landed on an active line one would score the previously mentioned x500 jackpot payout! They have the ability to substitute any icon, except for the scatter, in order for the player to complete his winning combination more easily. But, it can’t for the rewarding combo on its own. They appear on the reels 2, 3 and 4 as a Wild Inspiration symbol. When that happens, this token randomly flips and activates one of three wild features: Expanding Wild, Sticky Wild and x2 Wild. The black-haired muse acts as an expanding wild, which means that this symbol gets spread throughout the whole column. The violet-haired muse awards the player one additional costless roll during which it holds its initial place. The golden-haired muse carries a x2 multiplier for all winning combinations in which it takes part. If there is more than one of such symbols, the multiplier increases up to the maximum of x8. So, if one feels interested enough, there are plenty of slots similar to this one, such as the Gladiator online slot machine. As we are used to considering games from NetEnt, the interface is all about quality. The background theme follows the title completely, with all those ancient Greek motifs. Music is soothing and relaxing. All symbols are perfectly rendered and shown in 3D. “Level” button for choosing bet levels per one spin. “Coin Value” button for determining the value of a single coin. “Autoplay” and “Max Bet”, which are shortcut button via these options. “Paytable” button triggers the same called feature. And, for the end, if one feels eager enough to take some roll in this astonishing game, a good place to visit would be Money Online Slots. Enjoy! 0 responses to "Muse Slot"